This ministry sponsors and administrates two schools in Nicaragua. Both schools provide a Christian-based education, school supplies, uniforms, and two nutritious meals each day to children who live in dump grounds. These children work in the dump ground scavenging for food and anything of value that can be sold. The founders of Saviour’s Tear, Wayne and Elaine Magouirk, are some of the best people we have ever met. They have made huge sacrifices to make this school a success. As far as missionaries go these guys are the ‘tip of the spear.’ We are very proud to call them our friends and help support their organization. CRF was founded in 1970 by Baxter Loe, an Amarillo Business man. This organization provides food, clean water, education, spiritual training, healthcare, and disaster relief worldwide. They are a very trusted non-profit organization and they make a huge difference in millions of lives. 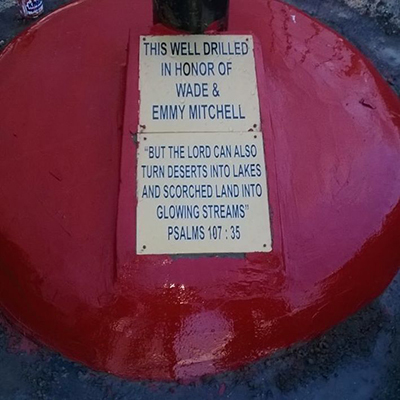 In 2016 we were able to sponsor the drilling of two water wells for remote villages in Kenya, Africa. It’s hard to imagine living without clean drinking water.